So you’re thinking about visiting the Old Continent? Tripomatic has gathered all kinds of useful information for you so that you can plan your trip in an efficient way. If you’d like to know about the weather, money matters or what travel documents you will need, read on and find out how to travel to Europe. Although Europe might be the world’s smallest continent, it is the most popular one among travelers for a variety of reasons. The European cultural heritage is simply stunning and definitely a must-see for any passionate traveler. The Schengen Agreement and open borders between most countries make traveling easy and efficient. European countries are about the size of US states, which means you can meet a completely different culture just by traveling for a few hours. All in all, Europe definitely offers value for money and is worth exploring. Tripomatic is an online trip planning tool. Create a trip plan from suggested activities and print out a detailed itinerary or sync your trip to your mobile phone. 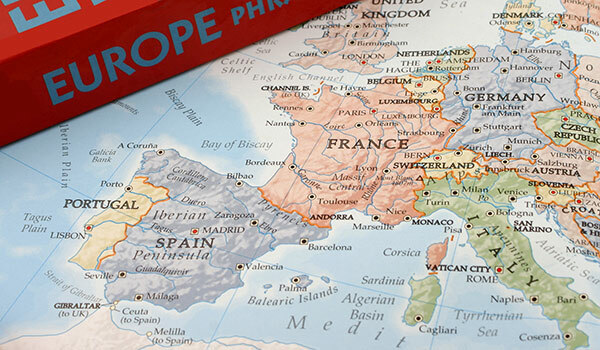 To start planning your trip to Europe, check out our template itineraries or start a new trip plan from scratch.